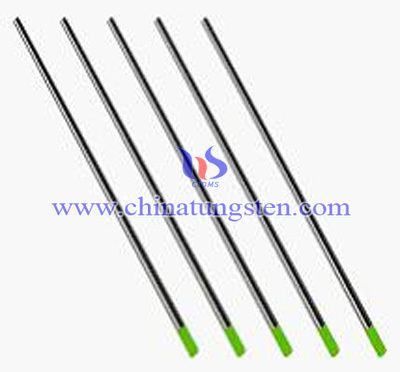 Tungsten alloy welding rod used in Gas Tungsten Arc Welding (GTAW) is made of tungsten alloy, because it has the highest melting temperature among metals, at 3,422 °C (6,192 °F). As a result, tungsten alloy welding rod is not consumed during welding, though some erosion (called burn-off) can occur. They can have either a clean finish or a ground finish—clean finish, which have been chemically cleaned, while ground tungsten alloy welding rods have been ground to a uniform size and have a polished surface, making them optimal for heat conduction. The diameter of the welding rod can vary between 0.5 and 6.4 millimeters (0.02 and 0.25 in), and their length can range from 75 to 610 millimeters (3.0 to 24 in). Selecting the proper tungsten alloy welding rod will greatly improve weld quality and productivity while lowering costs for your Gas Tungsten Arc Welding (GTAW) and Plasma Arc welding operations. Selecting high-quality tungsten alloy material: it is easy to improve arc time and better weld quality with minimized contamination. 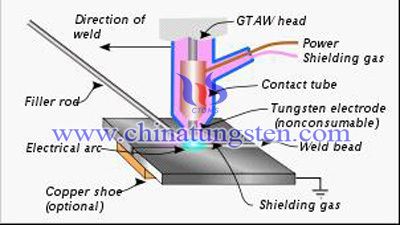 Gas tungsten arc welding (GTAW), also known as tungsten inert gas welding, is an arc welding process that uses a non-consumable tungsten alloy welding rod to produce the weld. The weld area is protected from atmospheric contamination by a shielding gas (usually an inert gas such as argon), and a filler metal is normally used, though some welds, known as autogenously welds, do not require it. A constant-current welding power supply produces energy that is conducted across the arc through a column of highly ionized gas and metal vapors known as plasma. 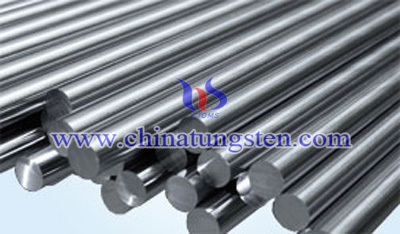 If you want to know more details about tungsten alloy welding rod, please feel free to contact us by email: sales@chinatungsten.com or by phone: 0086 592 5129696.